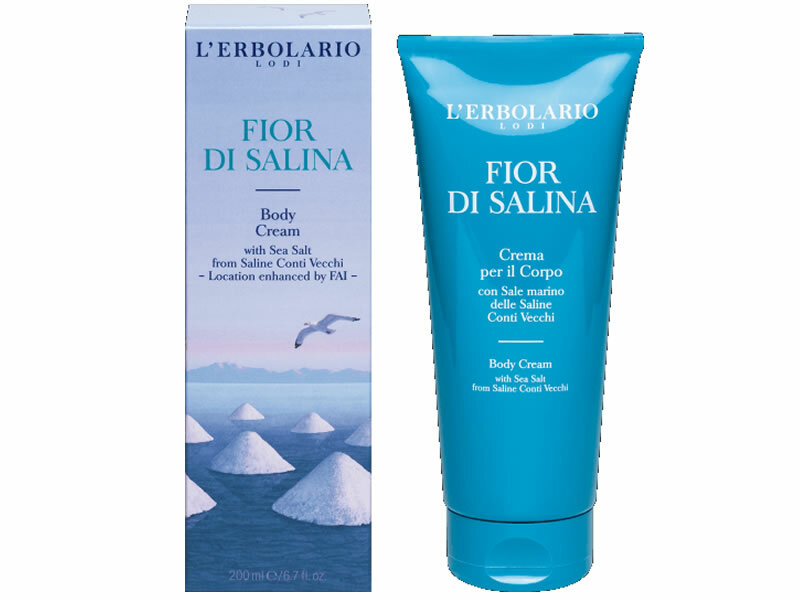 Description In the warmth of the sun’s rays and the salty sea air aroma, in a corner of the Sardinian coast populated by flamingos and water birds, they harvest that special Sea Salt ingredient of this perfumed Body Cream. In an instant its aromatic, invigorating, sea notes will have enveloped your skin, accompanying those beneficial effects of the recipe’s active plant principals: refreshing distilled Strawberry tree leaves, hydrating extract of Salicornia, protective extract of Lentiscus leaves and soothing Sea Salt. Sea Salt from Saline Conti Vecchi, distilled Strawberry tree leaves, extracts of Salicornia and Lentiscus, sweet Almond oil, organic Sunflower and Olive oils from Italian oil mills, unsaponifiable Olive oil, Cocoa and Coconut butters, hydrolysed protein of Mallow and Buckwheat, vitamin E from Soybeans. Aqua (Water), Helianthus annuus (Sunflower) seed oil, Arbutus unedo leaf water, Dicaprylyl ether, Parfum (Fragrance), Polyglyceryl-2 stearate, Cetearyl alcohol, Glycerin, Glyceryl stearate, Prunus amygdalus dulcis (Sweet almond) oil, Maris sal, Pistacia lentiscus leaf extract, Salicornia herbacea extract, Polygonum fagopyrum (Buckwheat) flour, Malva sylvestris (Mallow) flower/leaf/stem extract , Olea europaea (Olive) fruit oil, Olea europaea (Olive) oil unsaponifiables, Theobroma cacao (Cocoa) seed butter, Cocos nucifera (Coconut) seed butter, Shorea robusta seed butter, Tocopherol, Brassica campestris (Rapeseed) seed oil, Rosmarinus officinalis (Rosemary) leaf extract, Microcrystalline cellulose, Xanthan gum, Cellulose gum , Caprylyl caprylate/caprate, Coco-caprylate, Stearyl alcohol, Citric acid, Citral, Coumarin, Geraniol, Limonene, Linalool, Alpha-isomethyl ionone, Benzyl alcohol, Benzyl benzoate, Potassium sorbate, Sodium benzoate.